Clutch.co, an on-line data driven field guide for B2B buying and hiring decisions, recently named Hop Skip Marketing one of the leading digital marketing agencies in Canada. It’s always great to have our work recognized, but this is an extra-special acknowledgment. Clutch arrives at its rankings through in-depth research of a company’s website, portfolio, case studies, and awards—and most importantly, it conducts client interviews. 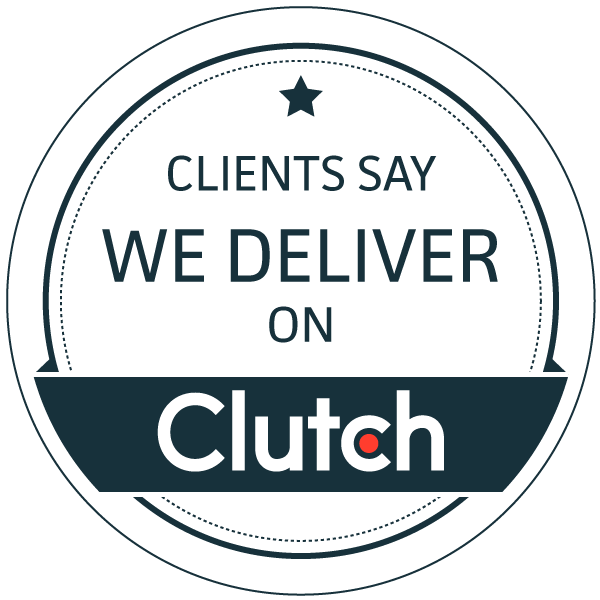 This means our clients’ feedback is directly responsible for our success on the Clutch list. Though we’re listed under “digital marketing agencies,” at Hop Skip we consider ourselves to be a marketing consultant agency. The most pronounced difference is that we act as your company’s marketing department. That means we're in your office weekly to look after your entire marketing strategy and implementation, just like an in-house marketing department would. It's a model that offers companies like Backbone Technology the best of both worlds: the scalability of outsourced marketing, with the deeper relationship and familiarity of in-house staff. You can see these and all our reviews, as well as our 5-star ratings on our Clutch profile. And while you’re at it, surf over to Clutch sister site The Manifest, where we’re listed as one of their top digital marketing agencies in the world. These accolades are awesome, but more importantly, they set us up for success in our growth goal. Next up, we’re looking to be the go-to marketing solution for B2B companies in Toronto, GTA West, and the Halton/Hamilton region.